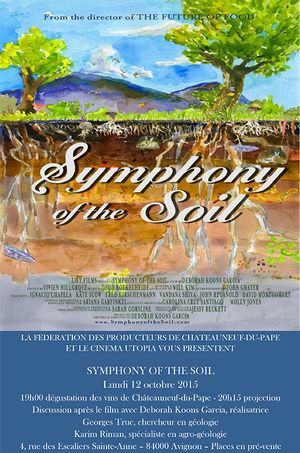 The Châteauneuf-du-Pape wine producers and Avignon historical art house cinema Utopia showed American film “Symphony of the Soil” on Monday 12th October 2015. This fascinating 104-min documentary by Deborah Koons Garcia –also director in 2004 of “the Future of Food”- explores the complexity and the mystery of the soil as it travels across 4 continents, giving voice to reputed scientists, militant farmers and famous advocates of the preservation of our soils. 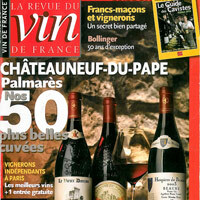 Prior to the screening, a tasting of organic Châteauneuf-du-Pape wines gathered the audience at the adjacent Bistrot d’Utopia. Despite a persistent rain that evening, the show had sold out. A Q&A session followed the film, with answers directly from film Director Deborah Koons Garcia, local geologist George Truc and agro-ecology expert Karim Riman.